WASHINGTON – When Mike Sullivan rode in the first “Flags for Our Fallen” Memorial Day rally nine years ago in Phoenix, it wasn’t much of a rally. Sullivan said he and about two dozen other bikers rolled out on that 2006 holiday weekend to plant flags at the graves of veterans in the National Memorial Cemetery of Arizona. But when they head out this weekend, as many as 200 bikers could join the rally, Sullivan said, lining the road to the cemetery with flags in honor of the servicemen and women buried there. “Our participation has increased year over year as we’ve tried to get out there a little more,” said Sullivan, vice president of RidersUSA, which organizes the rally. Those growing numbers are a hopeful sign for Sullivan who, like many advocates across the country, worries that Memorial Day is more about holiday sales than the sacrifice the day was intended to honor. “Veterans Day is the same thing, everybody is looking in the newspaper for the sale at Nordstrom’s,” said Al Kovach, national president of the Paralyzed Veterans of America and former Navy SEAL. “It’s unfortunate that you see more about a Veterans Day sale or Memorial Day sale than a story about a veteran who was killed in action,” said Kovach. 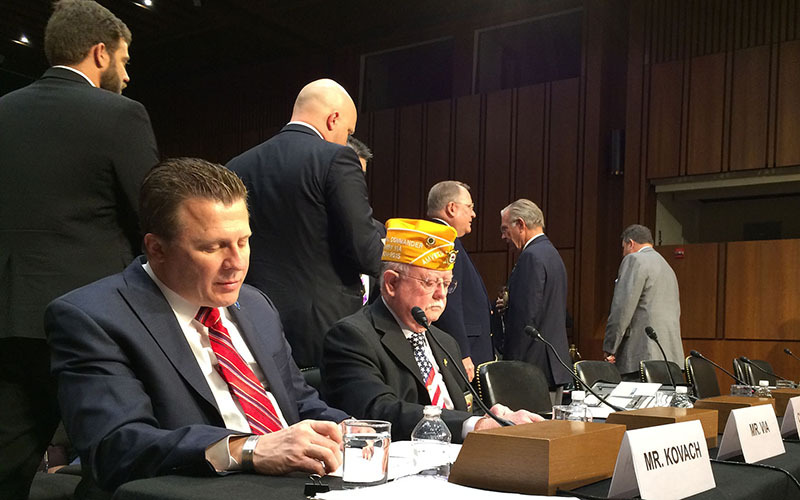 He was in Washington this week with leaders of other veterans’ organizations who were testifying to Congress about issues at the Department of Veterans Affairs. Another one of those leaders, Larry Via, echoed Kovach. “To me, there is getting to be too much complacency in this country,” said Via, the national commander for the veterans assistance and advocacy group AMVETS. 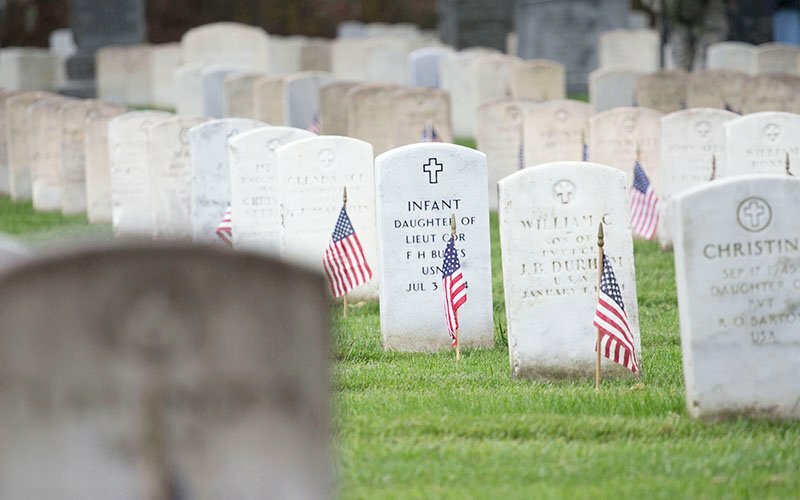 Memorial Day has its roots in the aftermath of the Civil War, when local observances of “Decoration Day” began in 1866, as a day dedicated to decorating the graves of those killed in that war. The practice spread across the country and eventually grew to honor those who gave their lives in all U.S. wars. In 1971, Congress moved the observance of the federal holiday to the last Monday in May, which we now observe. 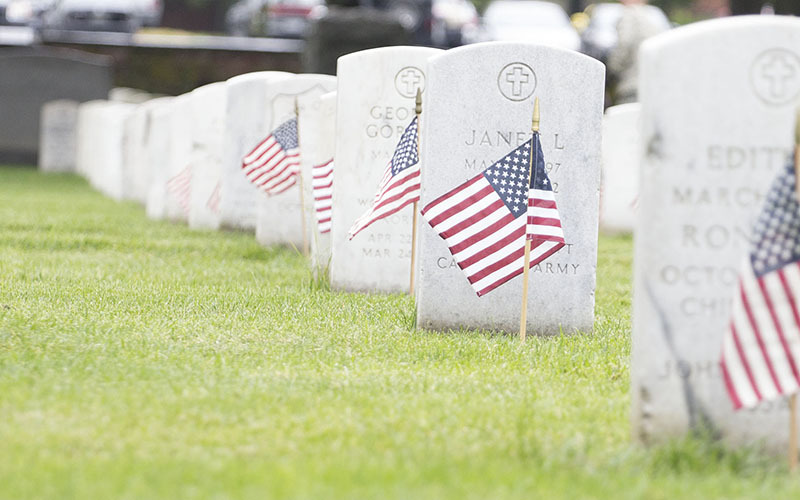 Today, Memorial Day weekend has come to be seen as the unofficial start of summer, marked not just by the sales that follow many federal holidays but by cookouts, pool openings and the Indianapolis 500 – as well as parades and observances locally and nationally. 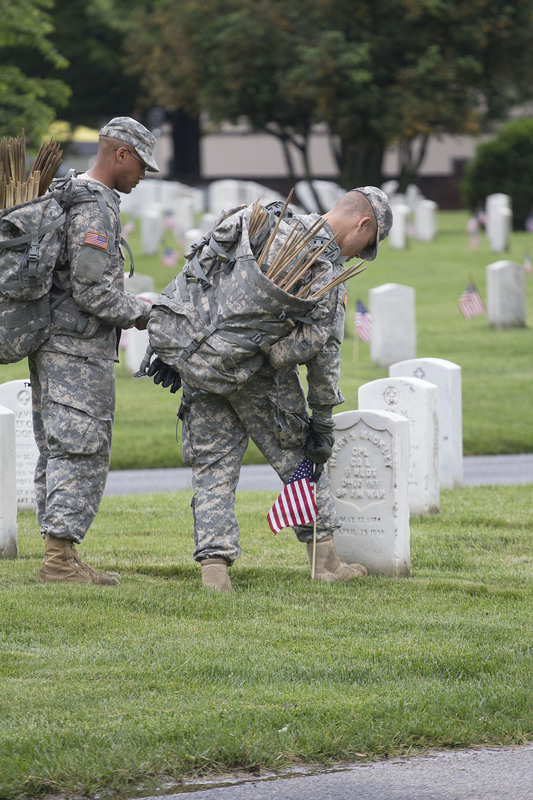 Much like the Flags for Our Fallen event scheduled in Arizona, soldiers with the Army’s Old Guard unit in Washington planted flags Thursday on the hundreds of thousands of graves at Arlington National Cemetery, where a wreath will be placed Monday at the Tomb of the Unknowns. 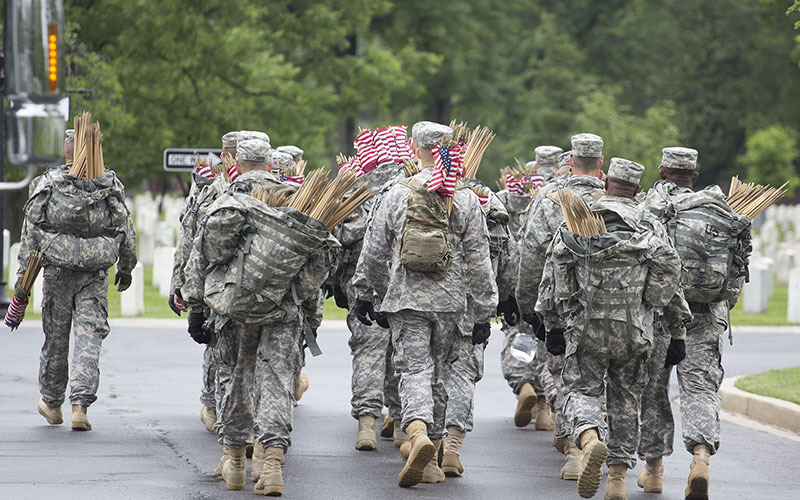 A national Memorial Day parade will be held Monday in Washington. Tim Holbert, executive director for the American Veterans Center, which organizes that parade, said he sees the resurgence of a true Memorial Day. Veterans groups in Arizona said they have seen positive trends in recent years, too. Honor Flight Arizona is part of the national Honor Flight Inc., which has flown more than 150,000 World War II veterans to the national World War II Memorial in Washington. Sullivan says he expects the RidersUSA rally to continue to expand in the future, allowing the opportunity to spread Memorial Day’s meaning across Arizona and the country. “We’re all about educating people. We haven’t forgotten about our vets, this day isn’t about sales for us and we want to spread that,” Sullivan said.